Edgar Haskell Collins, Sr., age 82, of Tionesta, PA, died on Tuesday afternoon, April 9, 2019 at his residence surrounded by his loving family. He was born in Tionesta on May 2, 1936, son of the late Stanley R. and Edna C. (Hoovler) Collins, Sr. He married his wife of 60 years, Grace Ann (Weaver) Collins in West Hickory, PA on October 11, 1958. Haskell was a longtime member of St. Anthony’s Roman Catholic Church in Tionesta. He retired from PennDOT in Franklin, PA where he worked as a surveyor. 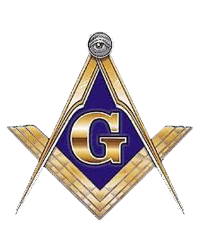 A 32nd degree Mason, he was very active in Masonic organizations and was a three time Past Master of Olive Temple Lodge #557 F.&A.M. and a member of the Valley of Coudersport Consistory. He enjoyed collecting John Deere tractor memorabilia, attending car shows, and gardening. In addition to his wife, Grace, he is survived by his son, Edgar Haskell Collins, Jr. and his wife Dawn of Derby, KS. Two daughters, Patricia L. Scannell of Oil City, PA and Debra A. Ward and her husband David of Sewickley, PA. Five grandchildren: Mary, Ziona, and Kurtis Collins all of Derby and Riley and Kelsey Hart both of Oil City. His brother, Ralph A. Collins and his wife Sandra of Clinton, TN. Two sisters, Evie C. Porta and her husband John of Tionesta and Fran A. Wimer and her husband George of Tidioute. Several nieces and nephews and great nieces and great nephews. His beloved canine friend, Max. In addition to his parents, he was preceded in death by his brother, Stanley R. “Ray” Collins, Jr.
A memorial service will be held at 1 P.M. on Monday, April 15, 2019 at the Norman J. Wimer Funeral Home of Tionesta with Father Joseph Kalinowski of St Anthony’s R.C. Church, officiating. Burial will be in Neilltown Cemetery, Harmony Township, Forest County. Memorial contributions may be made to the Shriner’s Hospital for Children in Erie, 1645 West 8th Street, Erie, PA 16505.